Halloween has long been one of my favorite holidays for many reasons, going to themed parties, watching all the best Halloween movies, no one judging you for eating too much candy, and my favorite – the costumes! It’s the one day a year I can be whoever I want, and play real life dress up! I try to pull inspiration from my favorite childhood characters, punny ideas, and or my personal fashion icons. Let’s just say – I take Halloween very seriously, and you won’t see me in your average cat costume any time soon. I loved Halloween so much that when I was a kid, I would plan out my Halloween costumes sometimes half a year in advance because I was just that excited about it. My mom would often make mine and my sister’s costumes. We’d go to the fabric store, and look through the sewing catalogs until we found exactly what we wanted to be. Then, we’d go collect all the fabrics and supplies needed. Although my mom would ultimately be the person to make the costumes, it was so influential to see her sewing and creating so much as a child. When I got older, I started putting my costumes together myself. It’s always more fun for me to create and style a character rather than buying the exact costume from a party store, and almost always cheaper! When thinking about my Halloween costume as an adult, it tends to be totally last minute, but always fabulous! This is partially due to being busy, not wanting to spend a lot of money on something I’ll usually wear a handful of times, and because I usually can’t decide. When thinking about this year’s costume and gotten down to my top 3 choices, I thought, “Maybe I shouldn’t decide, maybe I should just do all 3!”. I obviously didn’t want to spend 3 times the cost though. Instead of succumbing to the dollar signs, and buying a whole new Halloween costume wardrobe, I decided to challenge myself even further. My plan was to make 3 different costumes from items I thrifted at Goodwill of Middle Tennessee, already had in my closet, or DIY’d using the same basic black dress in all 3 looks. Get ready for 1 dress, 3 Halloween looks inspired by: Audrey Hepburn, Jackie O Kennedy, and Wednesday Addams! Audrey was such a beautiful woman with classic style. I’m recreating her Breakfast at Tiffany’s look because of how iconic it is. Add a brooch to layered strands of pearls with your basic black dress, and slip on a pair of long black gloves to create this look. I accessorized with jewelry, black heels, and Audrey’s classic updo with brooches (although you could definitely buy a mini Tiara here). I opted for a short dress for this look to fit in with my other two outfits, even though Audrey is wearing a full length gown in her Breakfast at Tiffany’s look. Because this look is so iconic, you can definitely get away with wearing a shorter dress, just make sure you have those key accessories to complete the look! 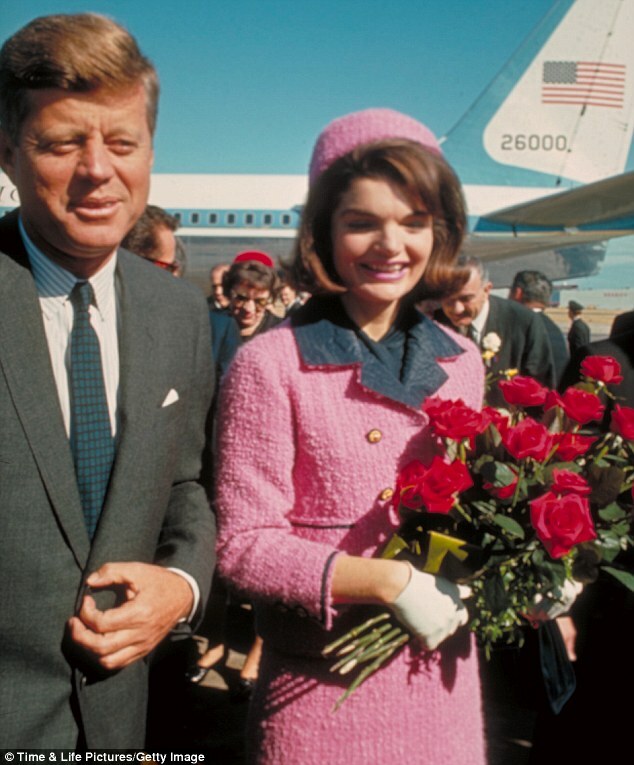 Jackie O is another Fashion Icon that I find very influential. Her style is very simplistic, but often times had a few fun patterns and daring looks thrown in. I opted to create a look inspired by her, rather than an exact copy, which gave me some creative freedom, and bring out my inner Jackie! Bring out that black dress and heels again, throw on a vintage cardigan or blazer, add pearls, white gloves, and Jackie’s iconic pillbox hat (DIY below) to create this look. I used a cardigan I already had in my closet, and thought it fit in with her famous pink suit look. Everything that I didn’t get from my closet… I got it at Goodwill! Start by breaking down the cereal box, and cutting length-wise down the corner of the box to make one long piece. Then, cut out two rectangular strips down the length of the box with a width of 2.5″. These will be the base of your hat. Overlap the ends of the strips together on both ends to form a circle, and clamp binder clips on either side to hold in place. Since a pillbox hat sits on top of your head, and not around, I opted not to measure the circumference of my head, and just adjust the circumference of the hat in the mirror to my desired fit by sliding the binder clips and overlapping ends to tighten or loosen the circumference. Once I reached the size I wanted, I hot glued the ends together to form a circle. I then, shaped the circle with my hands to try to get it as circular as possible. The base of my hat ended up having a diameter of about 6.25″. On the other piece of my cereal box, I measured a circle with a diameter of 7″. I suggest your circle being .5″-.75″ larger than your base’s diameter, so you have plenty of room to glue the two pieces together. Then, make tick marks around the entire edge of the circle either .5″-.75″ in from the edge depending on how much room you added. Following the tick marks, make slits around the edge of the circle. Slightly bend the edges in wear the circle will attach to the base. Bend gently to give the top of your hat a curved edge rather than a 90 degree angle. Match up the slits on the circle to your hat base and glue them together with your glue gun. The structure of your hat is now complete! Wednesday Addams is also known for her own iconic look, albeit because she wears the same variation on a black dress, stockings, white collar, and braids every day, but still iconic nonetheless! Wednesday stands out as the darkest character from the trio of costumes, but the easiest to put together. Although her style doesn’t personally ring with me like Audrey and Jackie, I find Wednesday’s confidence to always be herself is definitely inspiring! I pulled everything from my own closet for this look except for the black dress. I layered a white collared shirt over a black turtleneck under the dress, and finished the look with tights, braids, and vintage spider earrings that I picked up at a local flea market! I always find I have multiple occasions to wear a Halloween costume to work, or a few parties, but never want to put in the time or funds to create different looks. So whether you want your Halloween look to be classic, iconic, or creepy and kooky, (or maybe all three! ), head out to your local Goodwill to pick up everything you need to create each of these looks!